While here we in west central Indiana we took a half day trip to see a few of the covered bridges in this area. The ones we saw on Rock Run Creek and Big Raccoon Creek were built in the early 1900’s and are very picturesque. As we drove onto the first bridge we stopped at I could see the water through the cracks in the bridge floor. I was more comfortable on other bridges that were restored in a way that didn’t have that “feature!” Another difference is that some bridges have large or small window-like openings that look out on the creek below. All bridges are well marked on the visitors map and have names and dates on them. At one bridge we saw a parked car and when we stopped to take pictures we saw group of young people enjoying the water just downstream. Part of the joy of seeing the bridges is seeing the countryside. It was fun seeing the various homes and farms and in some places the trees make a wonderful canopy over the road. For more information on the bridges in this area go here. 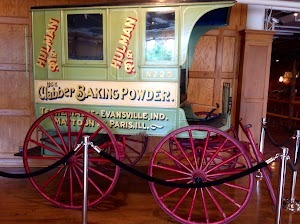 We also went to Terre Haute to the Clabber Girl Museum and coffee shop. 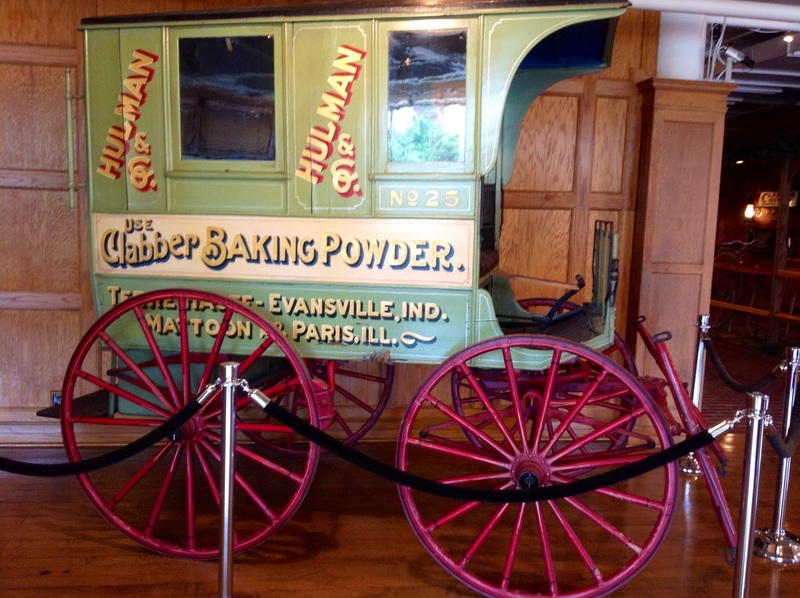 They are in the original building where the Hulman family business was begun in 1850. They started as a wholesale warehouse and expanded to to manufacturing under various names. The museum is free and open to the public. There you will see beautifully restored items from the past. There is a Victorian living room with a winding stairway and early phonograph player, a room like an old saloon with a wooden Indian, kitchen appliances, a wagon used to deliver goods and communication devices including many early telephones and many signs from the company’s early days. One display is of particular interest. It is a vault with replicas of gold bars and a desk set up to look like it might have looked in the past with ledgers open for business. There is a coffee shop where Scott bought some Rex brand coffee and I had a cinnamon roll. It tasted wonderful and I would recommend this as a place to visit if you are in the area. 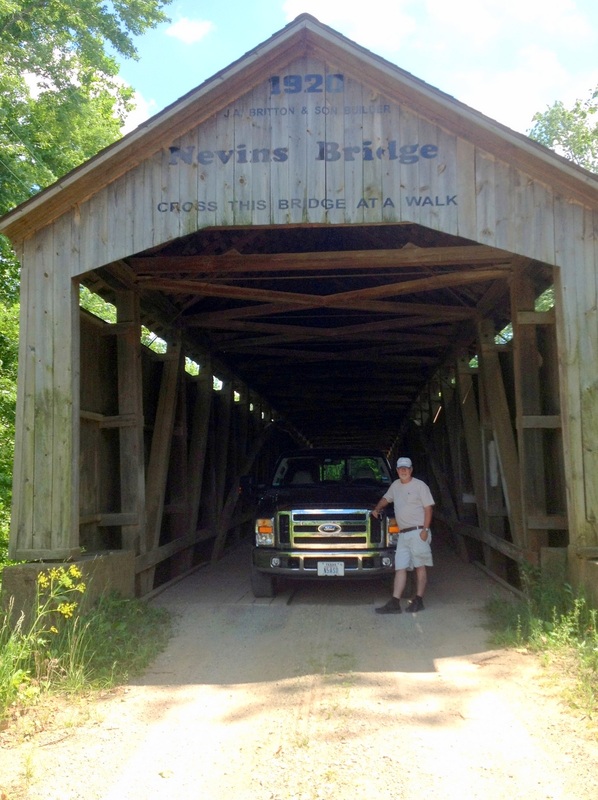 This entry was posted in Uncategorized and tagged Indiana, review, sightseeing. Bookmark the permalink.